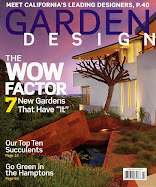 A garden inspired by Mediterranean plants leads to a statue of Flora, the Goddess of Spring. 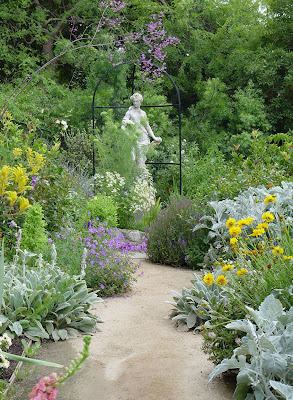 The path is softrened by dense plantings of grey green lamb's ears, helichrysum petiolare and lavender. The purple blues colors of campanula and thalictrum contribute to the restful sscene.